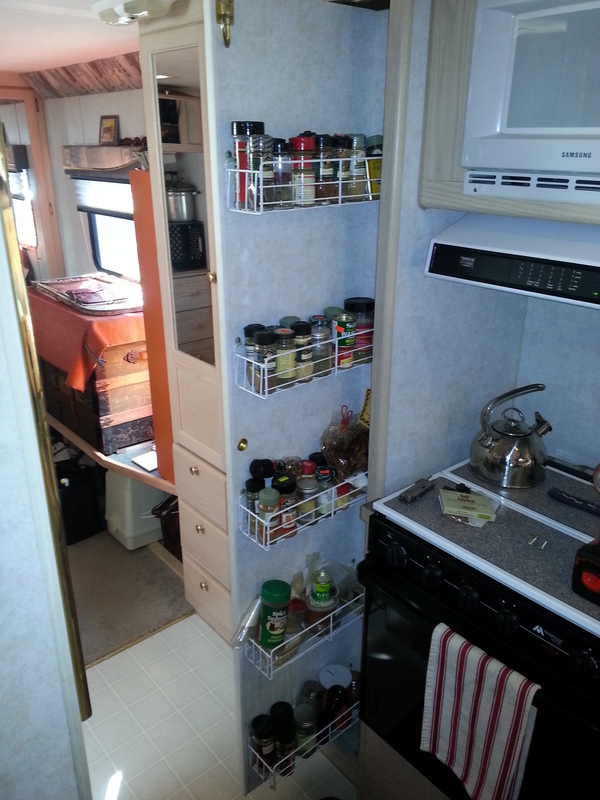 The motorhome came equipped with this nice big spice cabinet, next to the oven and microwave. It extends from floor to ceiling, and is hidden by a tall, skinny door. A tall board with several baskets is mounted to three sliding tracks, and pulls out to provide access. Although I commend the Bigfoot Manufacturing Company for their ingenuity, they did not optimize use of the volume. The back end of the baskets were supported by a narrow board; built around the dimensions of the baskets, and since the baskets are not as deep as the cabinet well, about 4.5 inches were wasted in the back. Also, this narrow board prevented the rack from sliding out fully, which I tried to remedy. 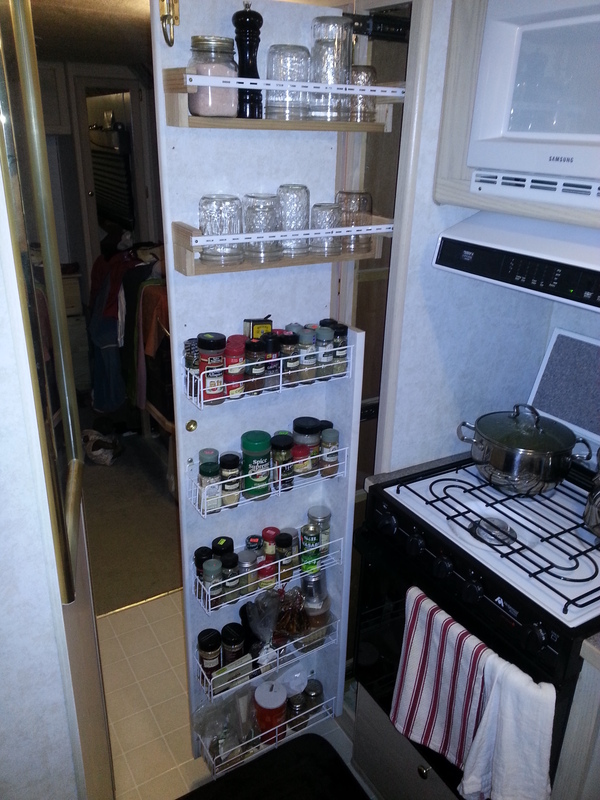 There is enough room in the baskets for most of our spices, but we needed a place to store mason jars for bulk items, and for drinking glasses. 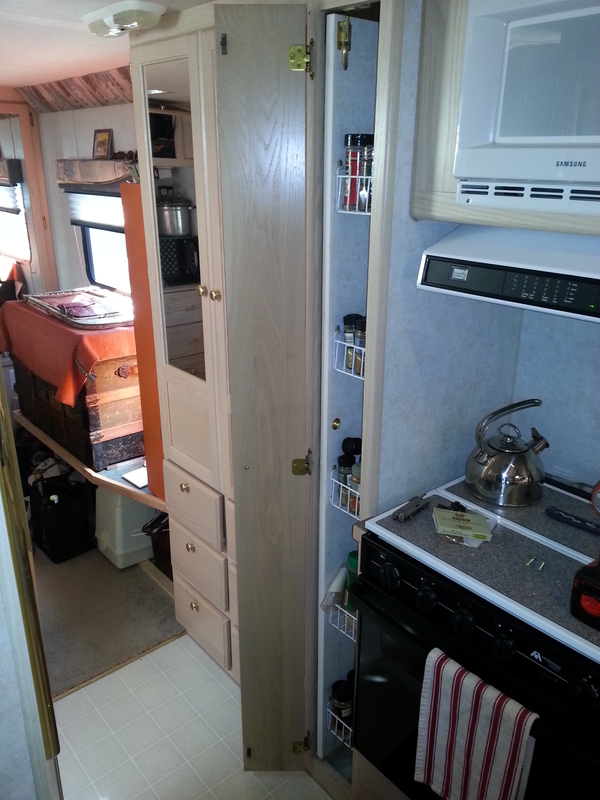 I pulled the board out, removed the baskets, and trimmed the back board to make room for two new racks, and did some trimming of it at the base so that the rack would not catch the door latches when I pull it out. It would be nice if the baskets were a little deeper, but they will suffice, I think. 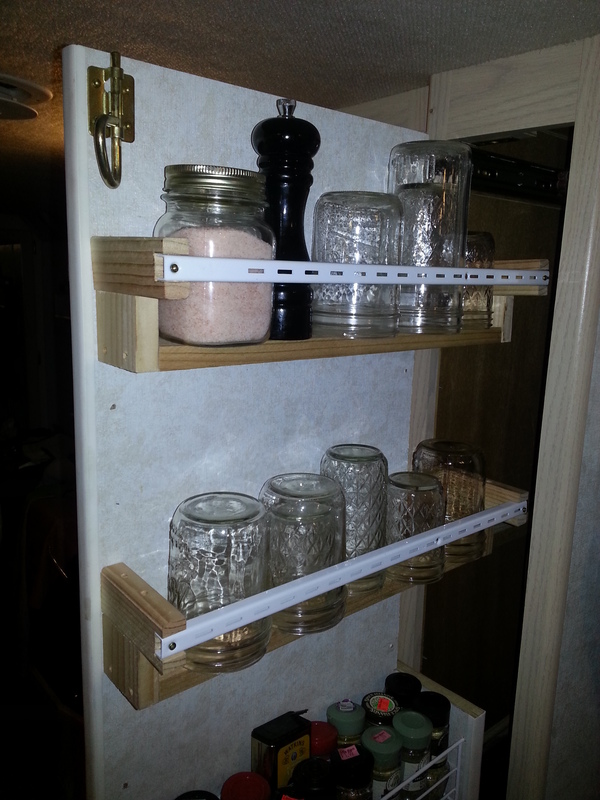 The wood I used was just some spare fir scraps, and the metal channel is a 36 inch shelf support I picked up at W.C. Winks.